What is China's president doing in Seattle? Chinese President Xi Jinping is kicking off his first state visit to the U.S. with a stopover in Seattle to huddle with the biggest names in tech and aerospace. The visit, which begins on Tuesday, provides a rare opportunity for Xi to exchange views with American executives, many of whom are eager to expand their businesses in China. But there will be tension too: tech CEOs, in particular, are wary of Beijing's heavy-handed approach to Internet regulation and censorship. Hacking and the Internet will be hot topics throughout the six-day U.S. tour. When Xi arrives in Washington, D.C., President Obama is expected to press the Chinese leader to halt cyberattacks on U.S. government agencies and corporations. Beijing says it has nothing to do with the attacks, but Obama's patience is clearly wearing thin. "We can choose to make this an area of competition -- which I guarantee you we'll win if we have to," Obama said earlier this month. 1) When Xi lands in Seattle, the welcoming committee will be led by former Washington state governor Gary Locke, who also served as U.S. ambassador to China. Locke will be joined by Microsoft (MSFT) CEO Satya Nadella and Starbucks (SBUX) CEO Howard Schultz. 2) Later, Xi will attend a banquet hosted by local politicians and business leaders. The Chinese president will deliver a speech on Sino-U.S. relations at the event, which, according to the Seattle Times, will be held at the Westin Hotel with former Secretary of State Henry Kissinger in attendance. 1) Xi is scheduled to attend a business roundtable co-hosted by the Paulson Institute. The group's founder, former Treasury Secretary Henry Paulson, built and maintained close ties with Beijing during his career at Goldman Sachs. The Paulson Institute says it has invited 15 Chinese CEOs to participate, along with 15 U.S. CEOs. According to official Chinese state media, invited U.S. companies include Hyatt (H), Pepsi (PEP), General Motors (GM), Honeywell (HON), DuPont (DD), Microsoft (MSFT), Boeing (BA), Amazon (AMZN), IBM (IBM), Starbucks (SBUX), Apple (AAPL), Berkshire Hathaway (BRKA), Disney (DIS), Cisco (CSCO) and Dow Chemical (DOW). China will be represented by tech giants Baidu (BIDU), Tencent (TCEHY), Lenovo (LNVGF) and Alibaba (BABA), as well as ICBC, Bank of China and Haier, among others. 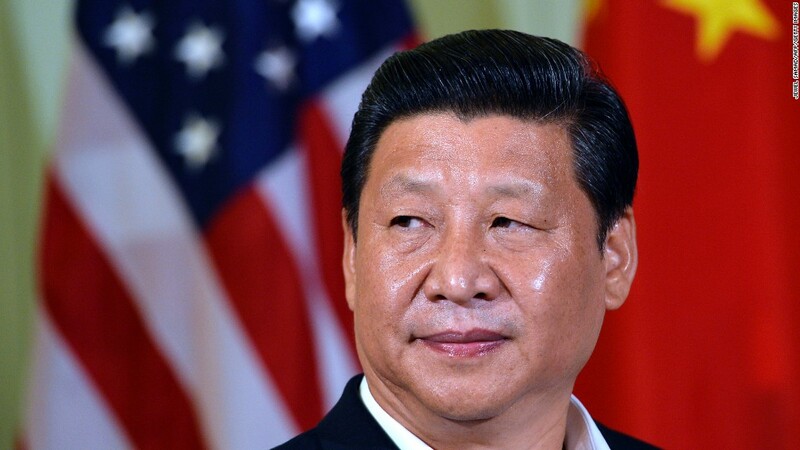 2) According to the office of Washington Governor Jay Inslee, Xi will travel to Lincoln High School in Tacoma, reprising a trip the Chinese president made in 1993, when he was Communist Party chief of the port city of Fuzhou. 3) The New York Times reports that Xi will attend the U.S.-China Internet Industry Forum, an annual event that is being held this year to coincide with Xi's visit. China's Ministry of Foreign Affairs has not yet confirmed that Xi will take part in the summit. 4) Xi will visit Boeing's factory in Everett, Wash. on Wednesday. Boeing chairman Jim McNerney will be on hand to welcome Xi, along with CEO Dennis Muilenburg and Boeing Commercial Airplanes CEO Ray Conner. Boeing, which has played a major role in developing China's aviation industry and infrastructure, produces the 747-8, 767, 777 and 787 Dreamliner at the Everett factory. According to Boeing, China will need an estimated 6,330 new airplanes over the next 20 years, a haul worth $950 billion.